After you have read about the different types of CPA offers that are commonly available, it’s time to choose an offer to start promoting. There are a few things you need to think about before you do this. The first thing is obviously to choose an offer that fits in with the niche you want to promote. If you are a PPC marketer, this will probably not be an issue for you. If you have a particular website or are in a niche that you focus on, you will have to narrow down the CPA offers to those that are targeted to your niche. After you have figured out your focus, you need to examine the offers that are available in your niche. 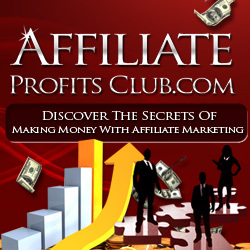 Some of these will be trial offers, zip submits, e-mail submits, or affiliate type offers. You should take a look at the payout you will receive — though that is not what you base your whole decision on. That’s because something with a lower payout might convert far better than something with a higher payout. Look at the terms of the offer and see what the customer has to do in order for you to get paid. Be very careful here, because this is often done on an offer by offer level. The company will decide what the customer needs to do, and this can make a huge difference in the amount of money you receive. Some offers are so difficult for customers to get through that you won’t make any money with them. Other offers are far simpler, or more compelling, so you will likely make more money with those. The next consideration is how you are allowed to promote the offer. Just like with the offer requirements, the promotional methods you are allowed to use are determined for each offer. Some companies with offers are very restrictive than the way you are allowed to promote them. Other companies will generally allow any method. Some common methods that will be allowed or disallowed include e-mail, PPC, SEO, contextual, and others. As you can see, there are many different aspects that go into choosing a CPA offer. At the same time, you shouldn’t take forever browsing through the different listings or you will get overwhelmed and not make any money! Sometimes it is best to try offers out to see if they convert. In fact, getting several offers out there and promoted will make you a lot more money than deliberating and choosing for four days! Choosing an offer is a crucial part of the process. This can mean the difference between making a little bit of money and making a lot of money. Follow these steps so you can choose some great offers that can help take your business to the next level.